7 Gorgeous Lamborghini Ride On Cars for Toddlers! 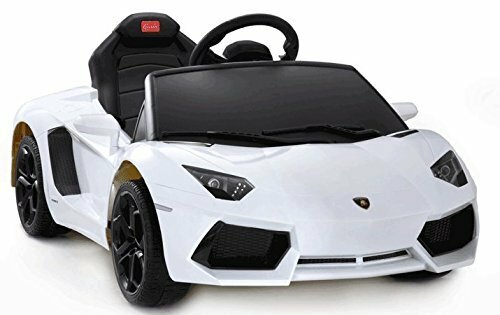 7 Gorgeous Lamborghini Electric Ride On Cars for Toddlers! 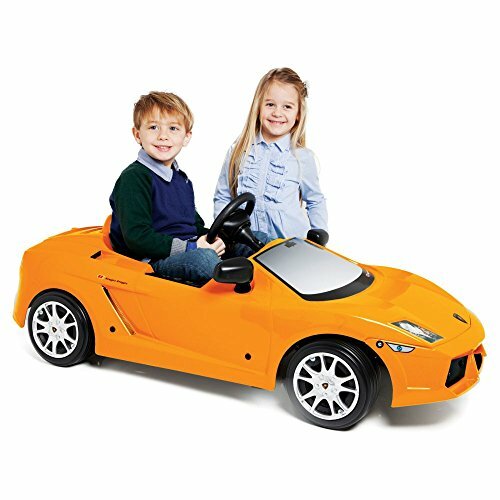 Lamborghinis are beautiful sports cars and if you can’t afford one for yourself, how about getting one for your child? *This gorgeous Lamborghini Aventador yellow ride-on electric car for kids was designed to look just like the real Lambo Aventador LP700! The max speed is 3 mph and it is recommended for kids 2 to 4 years old. I love the bright yellow color! The charger and battery are included and it comes almost fully assembled! It is a dream car! New Lamborghini Gallardo 12v Battery Ride On Car GREEN! 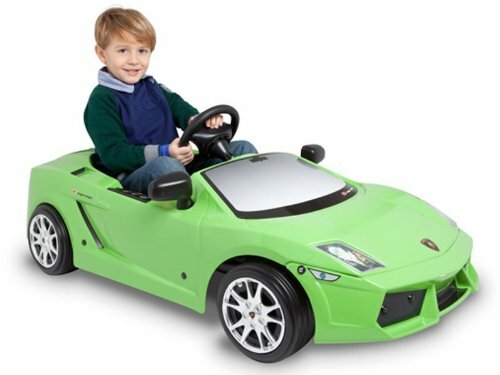 How about a gorgeous green Lamborghini ride-on car for your boy next Christmas? One of the best features is the electronic accelerator, which makes the car stop when the child removes his feet from the pedal. The max speed is 5mph, it comes fully assembled and it includes the battery and charger! It fits toddlers and children up to 5 years old. One of the most beautiful electric cars for kids in my opinion! Kids Ride On Vehicle Lamborghini Murcielago YELLOW! The real Lamborghini Murcielago was produced between 2001 and 2010 by the Italian maker Lamborghini! 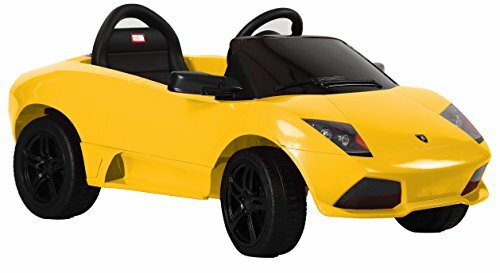 Beautiful yellow ride-on Lamborghini Murcielago for kids! It is perfect for a toddler, because the max speed in only around 3 mph, so it is pretty safe! It comes with LED headlights, battery and charger! 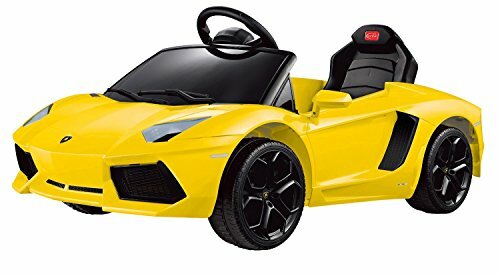 Lamborghini Aventador 6V Ride On for Kids! The original Lamborghini Aventador has a gorgeous sports design and was launched in 2011. How gorgeous is this new white Lamborghini Aventador ride-on electric car for kids? I am so in love with this cool car! It has working front lights, mp3 input, remote control and the max speed is 3 miles per hour. Parents can control the car for their little ones using the remote control feature! One of the best gift ideas for boys ages 2 and 3 to 5 years old! *Check out this little boy driving his gorgeous White Lamborghini Aventador for the first time! I guess you were never expecting a gorgeous orange Lamborghini car for kids now were you? I just love those new colors! Can you imagine how cool your little boy (or girl!) is going to look in this fancy ride-on car? It also fits kids from 2 to 5 years old or a 65 lbs capacity. Kids love the real working lights too! One of the coolest Lamborghini ride-on cars for children around! PINK Lamborghini Style Ride on Car for Girls! I just can’t get over the beautiful colors on these new Lamborghini ride-on electric cars for children! 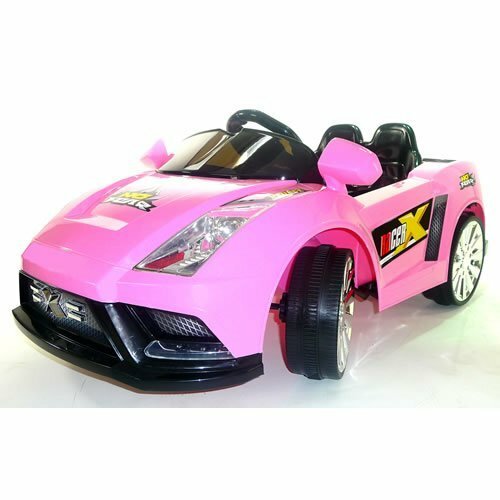 Look at this gorgeous PINK Lamborghini style electric car for little girls! Kids are definitely driving the coolest cars on the block! 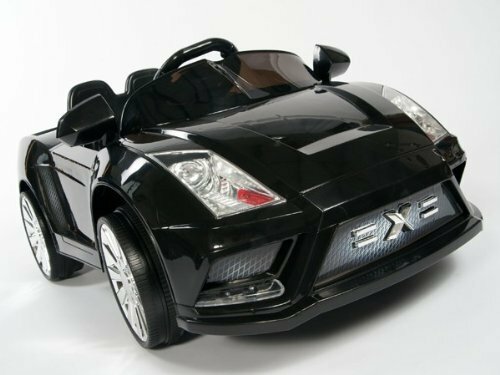 And last, but not least in the least, it’s this impressive black Lamborghini style ride-on car for boys or girls between the ages of 2 and 5 years old! The max. speed is around 4 mph but it also drives at around 2 mph for the toddlers. It also has cool music buttons and the coolest headlights! *I hope you were able to choose the coolest Lamborghini ride-on car for your child! Amazing Ferrari Ride on Cars!